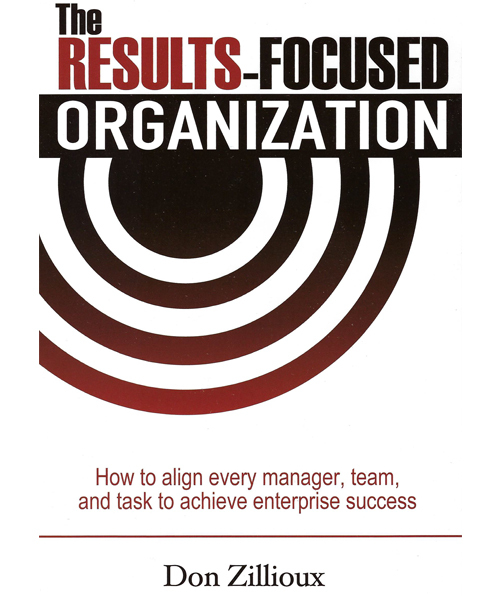 Is your organization Results-Focused? Are your managers Results-Focused? Are your managers and team members aligned to achieve organizational goals? Do your employees understand how their job is part of overall organizational goals? This guide offers managers detailed information to help employees understand how their position fits into the overall plan and where the company is going. It closely examines the pieces that include culture, climate and management styles as well as the inevitable resistance to change that frequently accompany adjustments, even when they are positive. By following the path to successful results, you and your team will develop a clear understanding of what “Results-Focused” really means and how you will achieve sustainable enterprise success. To order your copy ($19.95), contact our office at 619 269-7338 or go to Contact Us on our website.